Stationery Starlet: For what ails you? For a long time I've suffered from sinus issues and last weekend I was in agony with sinusitis, so much so I sent Mr S out for medicine which I would normally try and do without. 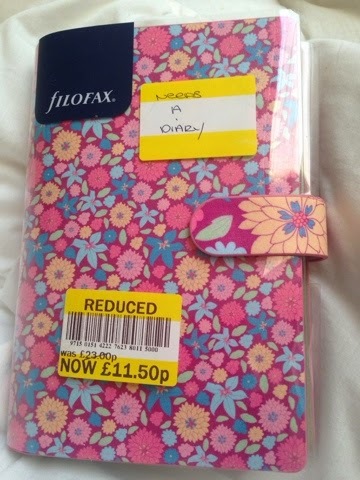 A new planner without diary, marked down as a result. Apparently, it was too good to miss and he thought it'd cheer me up. I didn't need another planner but I sure as heck wasn't complaining. It's not unusual for him to pick me up stationery when I'm feeling down. This got me thinking, a bad day usually results in some sort of new planner supplies; perhaps some stickers or a new pen. 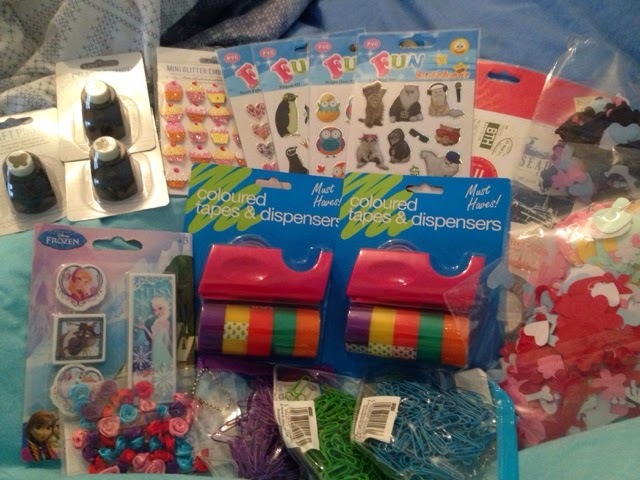 The worst day for a long time at work resulted in a trip to the poundshop for supplies. I don't know about you, but my pick me up is always stationery and planner related. I think it's because it lasts unlike wine or chocolate and I can continue to get enjoyment from it, unlike clothes. Even if I don't purchase, I'll window shop for planners and think about how much sunshine they would bring into my life and reflect on how much the ones I already have do. I just can´t adore you blog enough, even if I just found it today. I have several autoimmune- diseases and am hit down by them all too often. It always lifts me up to fiddle with stationary. Planner goodnesses and books. If I´m well enough and have time, I might drive myself to Staples or a bookstore with ample supplies of all things paper. If not, youtube it is. I do that with books. I order them on line and somehow can deal with the wait. But stationary and planer goods. Nnnnooooo. Outta my way! I have paper things to fiddle with!